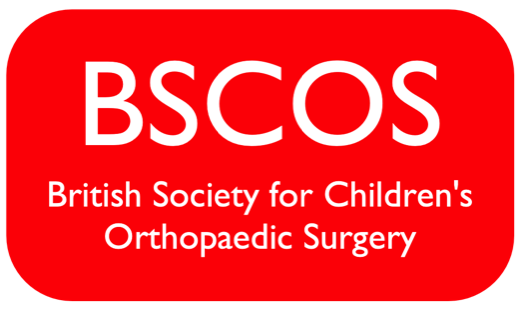 The British Society for Children's Orthopaedic Surgery was founded in 1984 to promote Paediatric Orthopaedic Surgery in the UK. It provides a forum for discussion of research, advances in clinical practice and the results of surgical procedures pertaining to the practice of children's orthopaedics and trauma. Membership is open to UK practitioners for whom Children's Orthopaedics represents a substantial part of their practice and professional interest. Click here for more information about membership. The Society meets once a year for a two-day meeting involving lectures and papers, and contributes to instructional sessions at the annual British Orthopaedic Association Congress. BSCOS is affiliated to the British Orthopaedic Association (BOA), The European Paediatric Orthopaedic Society (EPOS) and the Paediatric Orthopaedic Society of North America (POSNA), the Australian Paediatric Orthopaedic Society (APOS) and the Paediatric Orthopaedic Society of India (POSI).